The social cohesiveness of eusocial insect colonies is maintained primarily through the utilization of pheromones. 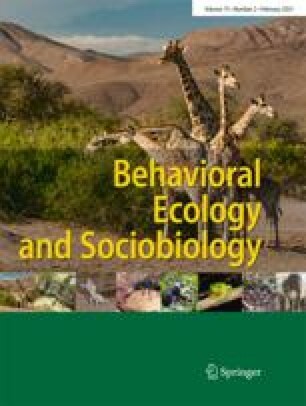 In this study we quantitatively elucidated the production, secretion, and transmission of 9-keto2(E)-decenoic acid (9-ODA), one of the components of the mandibular gland pheromone of the honey bee queen Apis mellifera; this is the only identified primer pheromone complex in the eusocial insects. Mated queens produce 12–400 μg of 9-ODA/day, or between 10% and 170% the average amount found in the glands at any one time. Approximately 0.5 μg of 9-ODA is maintained on the body surface of queens by an equilibrium between exudation, internalization, tracking on the comb, and removal by workers. Retinue bees, attending the queen, remove the greatest amount, although the role of the wax as both a sink and a medium for pheromone transfer has been previously underestimated. Only about 1 in 10 retinue workers pick up substantial quantities of pheromone while attending the queen and, within seconds, most of the acquired 9-ODA is found externally on the abdomen, or in the gut. These attendants, also called messenger bees, transfer 9-ODA to other workers, mostly through direct contacts, but also via the wax. A model evaluating the pathways and relative quantities of 9-ODA transferred throughout the nest is presented. As well as being important for a basic understanding of the system, the results have implications for the proper design and use of pheromones in bee management.